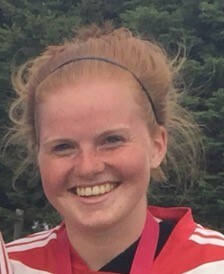 Emma Hardy currently plays for the Glengarry Girls U18 District Competitive tier 1 team in the ERSL. Accepted to St. Francis Xavier University BSc in Human Kinetics for the fall 2017 semester, Emma is described as an “exceptional student and person”. Having demonstrated leadership in her school’s Cooperative Education Program, as well as involvement in coaching grade 7 and 8 students in a multitude of different sports and enrichment programs Emma exemplifies leadership, positivity and reliability. Having also volunteered for various events with the Maxville Fire Department she supports her greater community of Maxville. On top of being an exceptional student, Emma is also a multi-sport athlete and excels at balancing her busy schedule to achieve her goals.